In contrast to the close cooperation practiced among European states, space relations among Asian states have become increasingly tense. If current trends continue, the Asian civilian space competition could become a military race. To better understand these emerging dynamics, James Clay Moltz conducts the first in-depth policy analysis of Asia's fourteen leading space programs, concentrating especially on developments in China, Japan, India, and South Korea. Moltz isolates the domestic motivations driving Asia's space actors, revisiting critical events such as China's 2007 antisatellite weapons test and manned flights, Japan's successful Kaguya lunar mission and Kibo module for the International Space Station (ISS), India's Chandrayaan lunar mission, and South Korea's astronaut visit to the ISS, along with plans to establish independent space-launch capability. He investigates these nations' divergent space goals and their tendency to focus on national solutions and self-reliance rather than regionwide cooperation and multilateral initiatives. He concludes with recommendations for improved intra-Asian space cooperation and regional conflict prevention. Moltz also considers America's efforts to engage Asia's space programs in joint activities and the prospects for future U.S. space leadership. He extends his analysis to the relationship between space programs and economic development in Australia, Indonesia, Malaysia, North Korea, Pakistan, the Philippines, Singapore, Taiwan, Thailand, and Vietnam, making this a key text for international relations and Asian studies scholars. 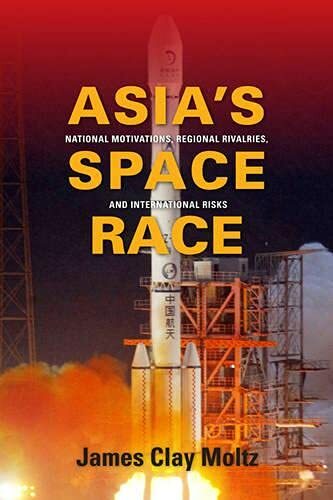 James Clay Moltz conducts the first in-depth policy analysis of Asia's fourteen leading space programs, concentrating especially on developments in China, Japan, India, and South Korea. He investigates these nations' divergent space goals and their tendency to focus on national solutions and self-reliance rather than regionwide cooperation and multilateral initiatives. He concludes with recommendations for improved intra-Asian space cooperation to prevent civilian space competition from becoming a military race.